After weeks of economic instability, Chinese investors woke up on Monday to even more bleak news. 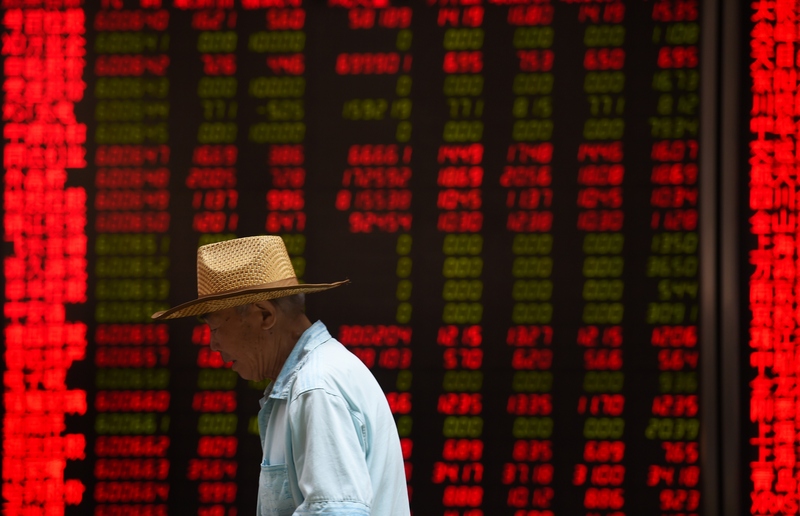 State media is reporting a "Black Monday" in China, after Shanghai's stocks plummeted a worrisome 8.5 percent. Not only is it China's biggest nosedive in eight years, but it's also having ripple effects elsewhere in the world, including the U.S., where the Dow Jones Industrial Average fell by 1,000 points minutes after trading began on Wall Street. While it remains to be seen what ramifications will ultimately result from the situation in China, it's worth noting how markets have endured and survived financial crashes in the past. China's stock market has been declining for months, sparked by an increase in international investments coinciding with a decrease in overall economic growth. The ongoing turmoil has been instilling fear in global investors, which reached panic levels when the country recently devalued its currency. That panic has prompted massive sell-offs, which then put China in its current status. According to Investopedia, the term "Black Monday" stems from the crash that took place on October 19, 1987, when the Dow Jones Industrial Average plummeted 22 percent in one day. The drop set off a ripple effect throughout the world, and by the end of the month, most major exchanges had plunged by more than 20 percent. As of press time, the Dow Jones Industrial Average had lost about six percent, which is modest compared to the dive in 1987. But for many, the abrupt crash is bringing back memories of crashes past. Widely considered the most severe Wall Street crash since 1929, the financial crisis in 2007 and 2008 launched a years-long Great Recession, the effects of which Americans are feeling to this day. After U.S. real estate reached a peak in 2004, the housing bubble burst, causing securities tied to real estate pricing to take a nosedive. As a result, large financial institutions faced total collapse, and had to be bailed out by national governments. The Black Monday of 1987 started in Hong Kong and quickly spread to Europe, the U.S., Australia, and New Zealand. Many experts cited the switch to computerized trading — or program trading — as the cause. The media reported that program trading led to blind selling of stocks as the market crashed, which only prompted even more sell-offs and fueled the decline further. As a result of the Black Monday of 1987, regulators enforced new trading protocols to prevent panic selling, including "circuit breakers." The most notorious financial crash in U.S. history set off the period known as the Great Depression, which every kid in America learns about in school. Amid a period of prosperity and excess, large portions of the population moved from rural areas to bigger cities, which negatively affected the U.S. agriculture industry. This set off a larger financial crisis that would become one of the main causes of the 1929 crash.